about my experiences with bullying. painful and too shameful to share publicly. Bullying leaves scars that never heal. So I talk about kindness, a lot. 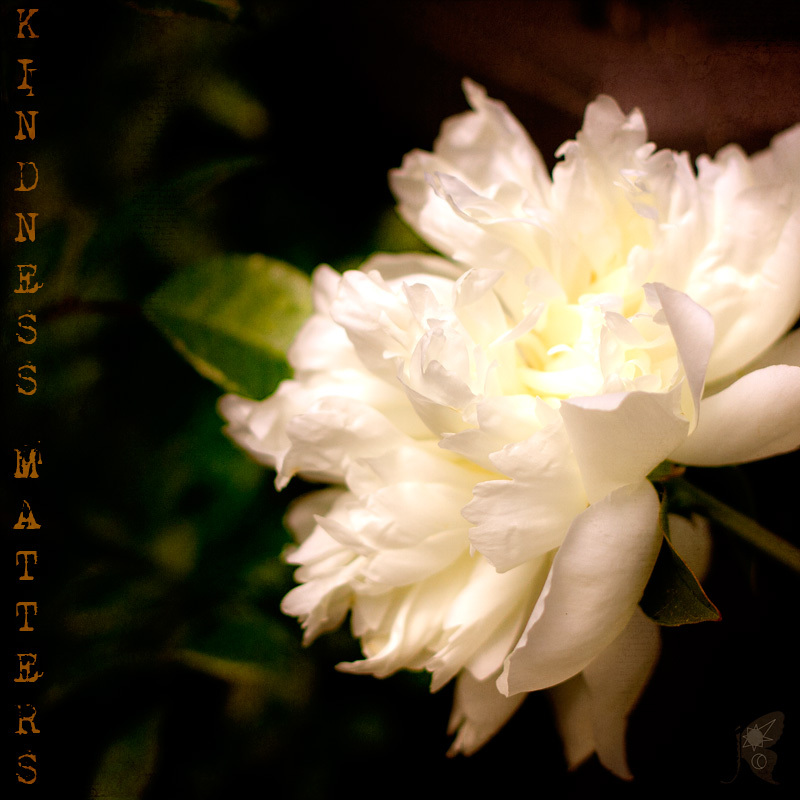 Thanks for sharing your beautiful image of kindness. oh, the lighting is beautiful and moody...your kindness is always appreciated...don't ever stop spreading it! lovely post...i do wish there were more kindness out there in the world...all we can do is keep plugging away...and maybe that makes the ripple effect like a pebble thrown into a pond. hoping that in this mode of communication...you find healing. beautiful photograph and sentiment . . .
Should you someday post what your wrote about bullying I hope I don't miss it. Beautiful image. It is sad to hear that you had to endure so much pain at the hands of cruel people who drag others down only to make themselves feel superior. I hope this problem continues to gain more visibility with anti-bullying programs at schools. Your work and focus on kindness are beautiful!